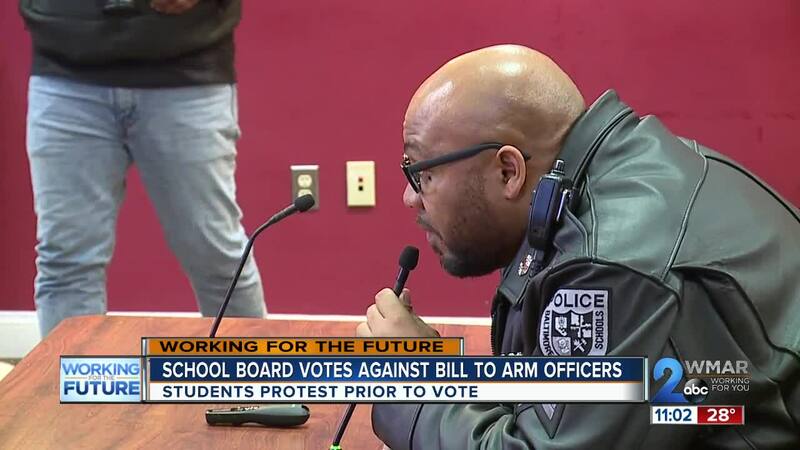 The Baltimore City School Board has spoken — they voted unanimously to oppose legislation that would allow school police officers to be armed on campus during school hours. Before the vote a protest by students— passionate dialogue from parents and community members. The Baltimore Algebra Project addressed the crowd with their backs to the school board Monday night. Cheryl A. Casciani told the students several times that they were over their allotted time and asked them to return to their seats in the crowd. The group refused several times and handed out fliers that they said represented a report card based off of polling students across the city. After several attempts to continue the meeting Casciani called a ten minute recess and some of the board members talked with the group. 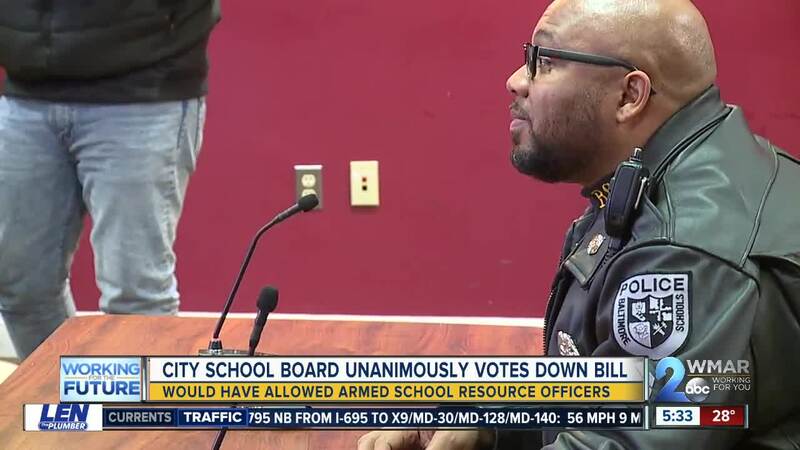 Eventually they returned to their seats and the board conducted the unanimous vote against the bill to allow officers to carry guns in school during school hours. Sgt. Clyde Boatwright, The President of the School Police Union called for the board to pass the bill. Lee Burroughs, a community member, said trained officers deserve every tool they need to keep the children and themselves safe. Seema Shah-Nelson said bringing the guns in would make the students less safe.